I believe the questions in the article could be applied to games already considered "done", to see what could/should be fixed. Like reverse engineering. By the way, the graphs (under "What style of game will it be") could be useful as a search option on 1km1kt. Just plot out your desires, hit "Search" and get a game in your taste! @Jensan thank you! I agree that using game style can be good for searching. My worry with that is that classifying games (albeit a big job) is very subjective. Subjective classification is very hard. For example, what feels "crunchy" to you will be different to me. Therefore, it will be difficult to agree if a given game is crunchy or not. What IS useful for is to keep the designer on the same track. When you spend months doing a project, it is difficult to remember what the original idea was and you go off track. Going off track is one of the dangers that causes the game to be unfinished. A designer looking back at the 60% complete game may lose interest because they've lost their way. A firm concept, tightly defined will keep them on track. I hope you enjoy the other sections, published each Tuesday! This is awesome! Bookmarking this to use for creating my next Campaign! When I manage to shake off the sloth clinging to my back keeping me from doing a lot of creative work, I'll be coming back and re-reading this very carefully. 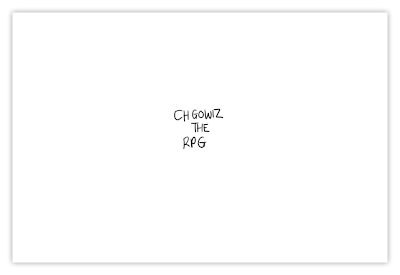 A year or two ago you took a look at a RPG of mine and the big take away was that it wasn't "about something". I think you made a great point, and I think it is the single most important point RPG developers need to understand - there are hundreds of generic "resolution systems" out there, but the games that get noticed time and time again are About Something. Even if people don't like your rules, they are taken in by the concept. Even if they eventually drop the concept and keep the rules, it is the concept that pulls them in and makes them read the RPG. Thanks Jack, it's great to see you're still dreaming up ideas. You're right about the feedback, I think the lack of a strong concept kills games before they've had a chance to really shine. Ok--you need to compile both the original "How to Organize" and this new series of "How to Write" into a single PDF and sell the hell out of it on RPGNow. Hell, I'd ASSIGN it in my game writing classes, as this is a hell of a lot more accessible than many other things I've seen written on the subject. @Matthew - Thank you! I have updated the "How to Organise" guide and it forms parts of chapters 5 and 6. Whether I make it into a PDF - I might have to throw that to a poll. I'm not used to creating something that is sold - although the first guide was part of the Open Game Table vol 2, of which I am very proud. Cool once again, for the Style category I thought it would be best for the GM to decide things like humorous vs serious. However I was certain that it was more cinematic than realistic. @wegetgeek I agree that it is up to the GM to make the tone of the game overall but there is a lot that the game designer does in the creation of the example setting that sets its mood. If your game doesn't lean either way then put a spot somewhere in the middle. Then the GM can decide whether to make it humorous or series. Even D&D and Tolkein - stock fantasy canon has humour in it, it's not deadly serious! Thanks for you comment! I had forgotten about my old Google alert and was pretty surprised to see this in my inbox. Imma charge you a no-dollar fee for using my likeness/name in vain. :) How's life treating you? Chgowiz - great to see you popping your head in. As you can see, I am fleshing out the idea I had all that time ago. Thank you for lending me your likeness (you can have it back when I'm done). 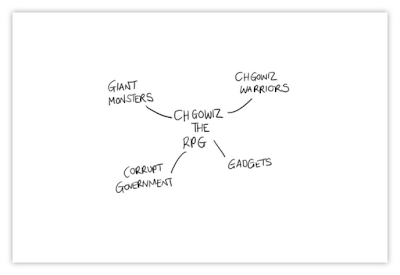 There will be a couple of other Chgowiznesses in the game. There appears to be a contradiction in Step 1. In step 1, the advice states: "Write down at least four major themes associated with your idea. These should be broad genre ideas..." Then, later on in the paragraph, the advice warns, "Avoid using broad genres...as themes." Obviously, this should be reworded more clearly to reflect the author's actual intent. Otherwise, I consider this guide very helpful. It has encouraged me to attempt at writing an RPG and, if I progress far enough, will start an account here to share my results. Thank you for posting this advice and making it available. Thanks Anonymous! Glad you liked the guide. You're right about the text, it was a bit flakey, so have updated it. Thank god for you Rob. I have been struggling to write my own game for years and this has finally sparked my ability to write it out. 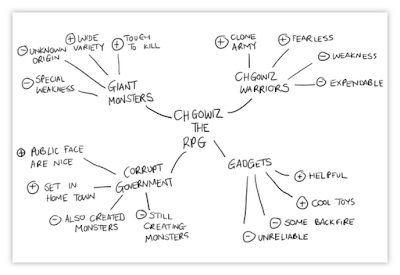 I think you forgot the most common way to invent an RPG -- take your favorite book/movie/TV show and make an RPG out of it.